Gerber Ghostrike Punch 30-001007. 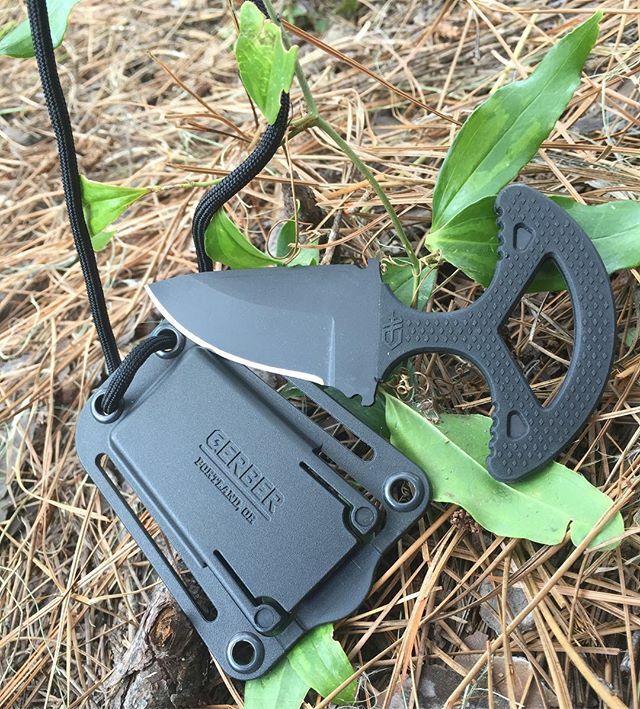 Neck knife complete with lanyard necklace and black kydex sheath. This is a fixed blade made of 420HC steel, measuring 2.5 inches long. The T-handle is made of rubberized over-mold to help support your grip on this skeletized handle. 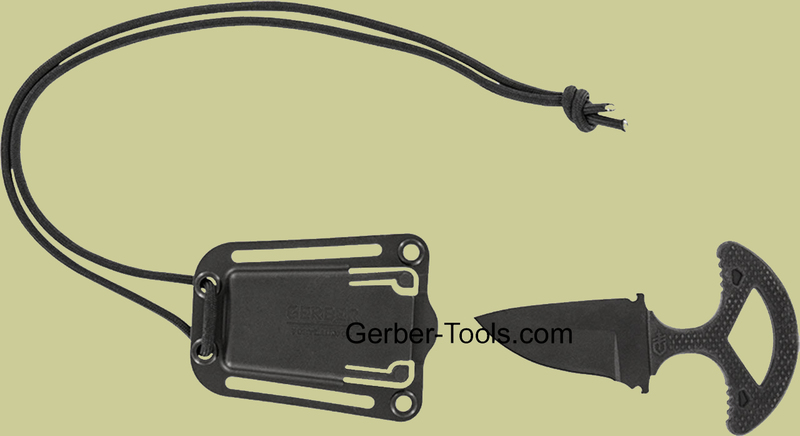 Black kydex sheath is made of glass-filled nylon. Overall Length: 4.8 inches. 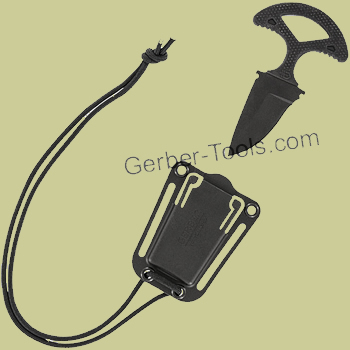 Weighs 3.2 oz without sheath, and 3.6 oz with the sheath, so very light weight on your neck. So grab it and wear it wherever you need to do, the Ghostrike Punch is ready for you.